Executives of a Tokyo company that dispatches foreign assistant language teachers (ALTs) for English classes at schools have revealed their close ties with Olympic Minister Toshiaki Endo, whose political organizations received donations from the company's founder, during a recent interview with the Mainichi Shimbun. 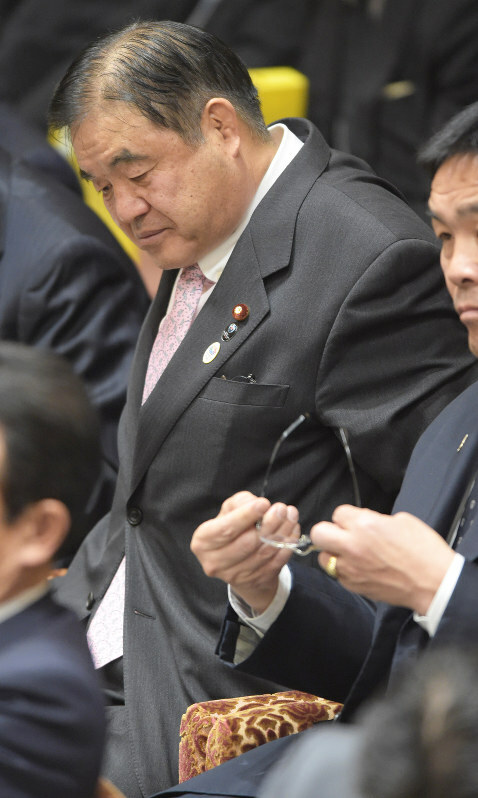 Endo, minister in charge of the 2020 Tokyo Olympic and Paralympic Games, pushed policies in favor of the firm as then chairman of the Liberal Democratic Party (LDP)'s Headquarters for the Revitalization of Education, around the same time political organizations linked to him received a total of 9.55 million yen in individual donations from the company's founder between 2010 and 2014. "For us, the Olympic minister is the most important figure," one of the executives told the Mainichi. The executives said the government's decision to inject public funds into private-sector ALT dispatching businesses came about thanks to the efforts exerted by Endo. "Honestly speaking, we wanted him to become the minister in charge of education, culture, sports, science and technology," said one of the executives. The ALT system is derived from the Japan Exchange and Teaching (JET) Programme, which was launched in 1987. ALTs provided under the JET program, however, are believed to be costly as the program is promoted by way of a foundation under the government's jurisdiction and teachers' travel expenses to Japan also have to be covered. From around 2000, the number of private businesses dispatching ALTs increased, boasting reduced personnel costs by utilizing foreigners already living in Japan. The rise in the number of such businesses was also prompted by the booming demand for ALTs. Today, about 30 percent of ALTs are provided by the JET program, another 20 percent or so are directly employed by local governments, and around 40 percent are dispatched by private companies to local governments or provided through relevant contracts between them. However, public funding had long covered the JET program alone. After assuming the chairmanship at the LDP's Headquarters for the Revitalization of Education in January 2013, Endo compiled proposals for reinforcing English education at elementary, junior high and high schools between April and May that year. He also attended meetings of the government's Education Rebuilding Council and reiterated the importance of hands-on language education, saying, "While there are both a classroom teacher and an ALT at each elementary school class, students should be exposed to English-only classes from a young age." An official at the Ministry of Education, Culture, Sports, Science and Technology, who is in charge of such programs, said, "The issues that were raised at the LDP's education revitalization headquarters are passed on to the Education Rebuilding Council, and are eventually forwarded to us (at the education ministry). It was Mr. Endo who coordinated matters about English education." The education ministry official said they were approached by Endo not only at official meetings but also in person about expansion of the use of ALTs. The official also recalled receiving occasional phone calls from a secretary at Endo's office. In December 2013, the education ministry announced the English education reform plan, based on which nearly 600 million yen was allocated to a new project for reinforcing English education at elementary through high school levels in the fiscal 2014 budget. In September 2014, the ministry clarified a policy to introduce a subsidy program for local governments that use ALTs provided by private businesses. The budget amount for the English education project doubled in the fiscal 2016 budget draft to top 1.2 billion yen, with the subsidy program included. "Mr. Endo worked behind the scenes. He is far more versed in the matter than other legislators and holds tremendous influence on the education ministry," said one of the executives at the company in question. "If possible, we want to get a little more state budget for training programs to improve ALTs' qualifications, among other programs." The executive also referred to the fact that the LDP's Administrative Reform Promotion Headquarters and other entities cut the budgets for the subsidy program to local governments, even though the sum was once included in the budget request for the fiscal 2015 draft budget. "They should rather slash the budgets for the JET program and pass them on to (private-sector ALT programs). Mr. Endo has been actively pressing for that, though." The executive also said they attend Endo's political fundraising parties two to three times a year, as well as morning study sessions. The company explains that those activities are "within the bounds of the law." According to the executives, the company's founder first met Endo about a decade ago. The founder began making donations to Endo's fund-management organization in 2005, when Endo was serving as director of the LDP's Education, Culture, Sports, Science and Technology Division, and went on to contribute money in 2006 and 2007, when Endo was serving as senior vice minister of education. The founder had since stopped donating to Endo's fund-management organization, but resumed contributions in 2010, when the founder let go of the management right to the ALT staffing agency. Another executive of the company told the Mainichi that the founder "has been out of management since March 2010."